If you are a kid and are dreaming of a sled-worthy snowfall, a skier hoping for some fresh powder, or would just like to see something other than ice, cold rain, or very light snowfalls … the pattern in the upper atmosphere may finally be moving in your favor next week. GFS (Global Forecast Model) shows a possible storm forming during the middle portion of next week. The jet stream patterns across North America are directly impacted by the North Atlantic Oscillation (NAO), Pacific North American (PNA) ridge and Arctic Oscillation (AO). These three indexes are all currently trending in a direction that favors a ridge over the west coast & a trough in the east (positive PNA) blocking over the North Atlantic (negative NAO) and cold air moving south out of Canada (negative AO). 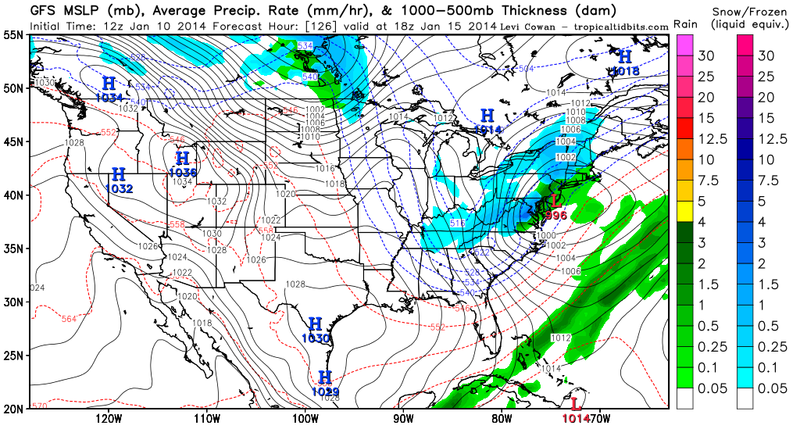 NAVGEM also shows some kind of coastal storm forming during mid-week. If the NAO index drops to a negative one, this will be the lowest this index has been so far this winter and is indicative of more pronounced blocking over the North Atlantic/Greenland/Eastern Canada. This blocking allows storm systems that form along the east coast to slowly move along the coast instead of quickly moving out to sea. 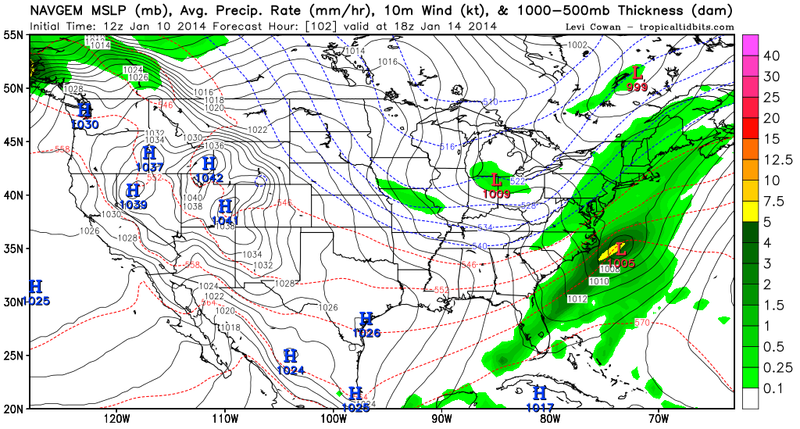 ECMWF model also shows blocking and a trough getting locked off along the Mid-Atlantic coast line.